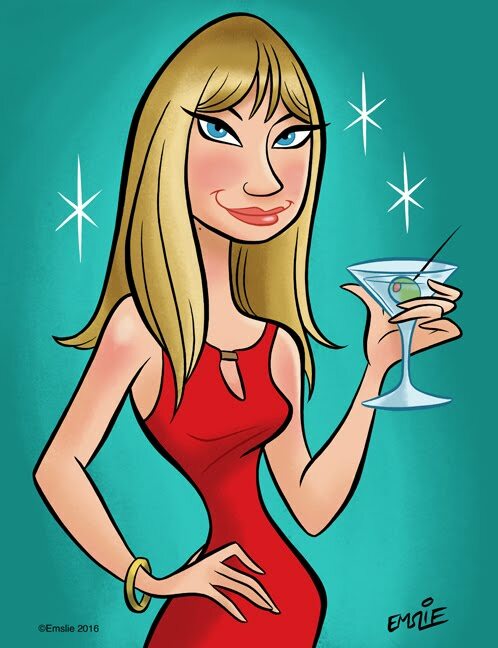 Throughout the years I've been told I resemble a number of blonde female celebs, including Cameron Diaz, Uma Thurman, and Gwyneth Paltrow. 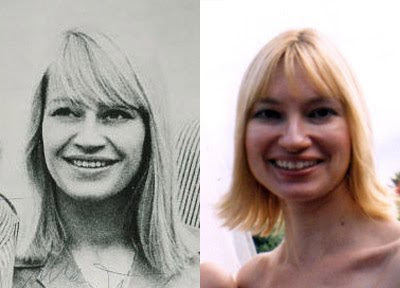 Although these are all very flattering to hear, my mother and I actually think that I most resemble, and appropriately so, a famous gal from the past: Mary Travers of the group Peter, Paul and Mary. 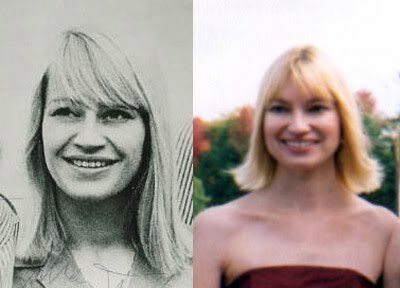 In fact, yesterday we watched a great documentary about the trio on PBS and we were both struck by how Mary looked like me when she was younger. When I look at myself in the mirror sometimes and the lighting is just right and I'm making a certain expression, I see Mary, too. I went through some old photos and the ones that were taken at a friend's wedding a few years ago seemed to look like her the most. I Photoshopped a few together for comparison - close, no? I even have Mary's side profile, especially her nose, although I couldn't find any good side profiles of me to compare. I love my bob, but maybe I should grow my hair out a bit longer. Now if only I could SING like Mary! Better yet, how cool would it be to meet a guy who looked like someone famous from the 60s...hmmm....I'll take a John Sebastian lookalike these days. We could be the cutest retro couple ever! Yes you two look alike and, darling, you are both goregous! I agree - you both definitely look alike. A guy in high school said that I looked like Jane Fonda in 9 to 5, probably because of my big glasses. WOW! That IS your Doppelganger!! Amazing! Amanda By Night - I'll have to look up Roberta Collins; can't say I know who she is. Lara Ann - Jane Fonda is not bad at all! I love Peter Paul and Mary. And you most definitely look like Mary. How cool! Pam, I just stumbled onto this post and wow do you ever look alike. Gorgeous gals!